Technology advances so quickly these days it can be difficult to keep up with all the latest and greatest tools. With Aceapp’s recent launch of the Beevio App, pest pros now have the ability to use mobile pest control software that is entirely web based and accessible from your device of choice (laptops, iPhones, Androids, iPads, etc.). It is now easier than ever to manage your pest control company with Beevio, and updates are being implemented all the time! The latest buzz in mobile printing solutions for the field service industry should definitely perk the interest of pest control companies in particular. 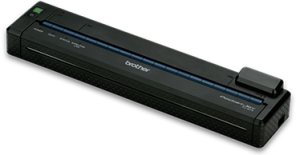 The latest model in Brother’s PocketJet 6 series mobile thermal printers is specifically tailored to be used with Apple iPad and iPhone devices for full-page printing. Other printers in this same series provide excellent features for printing receipts and reports directly from your vehicle at the touch of a button. You can either have these miniature portable printers mounted inside the service trucks or carried right in the special clipboard designed for it, depending on what you prefer. Being that thermal printers do not carry ink cartridges, they can be made very small, lightweight, and can withstand the general wear and tear from being inside a service vehicle (i.e. dirt, high/low temps, handling). Customer service is our first and foremost goal and we are always looking for ways to make your company more successful. As we continually update our own software, we also want to help you find other solutions to help you along the way, such as with mobile thermal printers. Keep checking back with Aceapp for more ways to optimize your pest control business. Pest Control Software or App? really describe the all new Beevio App. Software programs needed to be installed on computers and configured to work with servers and networks. They grow old without installing updates and seem to eventually not work with new operating systems. The Beevio App is mobile, requires no installation, and runs on any device with a browser. Your laptop or computer blows a hard drive or gets stolen? No problem, your data is securely stored in the cloud just waiting for you to log in. Beevio is the Pest Control App for those that are ready to surf into the future of mobile technology. We are currently scheduling California Branch 2 companies that wish to migrate from Bugbase to Beevio. Branch 3 companies will hopefully be able to migrate sometime in 2014 when we wrap up testing of our new termite report writing app. We can’t wait to show everyone what we’ve been building. 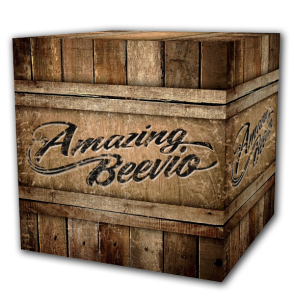 We are pleased to announce that Beevio has officially launched. We would like to thank all the pest control companies that have been using the beta release for the past year. It’s been a pleasure working with everyone to make Beevio the best new pest control software app on the market. Our team will continue to release incredible new features as they are completed. Rest assured, the Beevio Team is hard at work and it seems like we come up new ideas weekly to add to the list of new features to release. Aceapp is committed to helping pest control operators run a more efficient business. Our Mobile Pest Control Software runs on any device with internet access. Windows, Mac, mobile devices like the iPhone and Android phone just to name a few. There’s nothing to install and the Beevio Team helps you every step of the way. You’ll be up and running in no time. Setting up a new pest control software program is easy with Beevio. Mobile Pest Control Management Software – Everything You Need in One App!